Hotel Gnanam is a world class hotel located in the heart of the city, Tanjore, the cultural capital of the south Indian state Tamil Nadu. Built in the allure of the traditional craftsmanship and blended perfectly with the modern word amenities, this hotel offers a wonderful accommodation in the city. It can be easily accessed from the airport and railway station. The service provided by the staffs is extremely professional yet friendly. The guests experience a royal welcome as soon as they enter the premises. Also, the guests are treated with the traditional folklore performed by the traditional women while the men play the musical instruments. 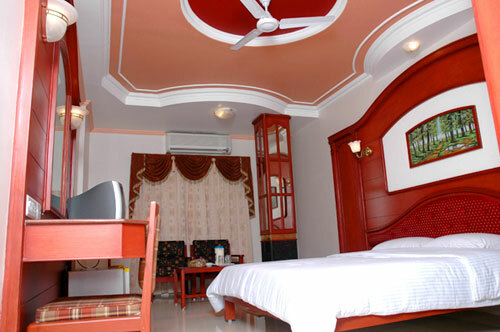 The hotel offers well-appointed rooms and suites that are air-conditioned and well-decorated too. 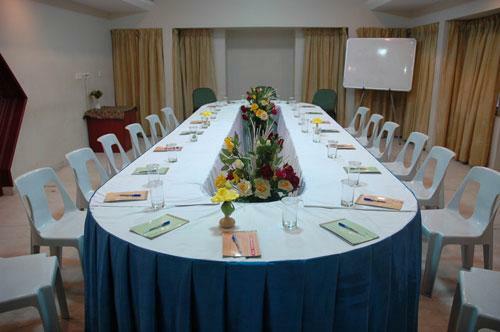 The availability of a conference hall, banquet hall and board room ensures that the guests can organize their social and corporate events with ease. Hotel Gnanam offers two restaurants, Sahana, and exclusively vegetarian restaurant and Diana Bar and non-vegetarian restaurant to satisfy the culinary requirements of the guests. You can stay connected with the rest of the world with the availability of uninterrupted broadband services. 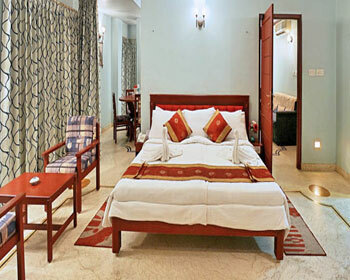 The Deluxe Rooms at Hotel Gnanam exude an inviting ambiance and a natural charm. 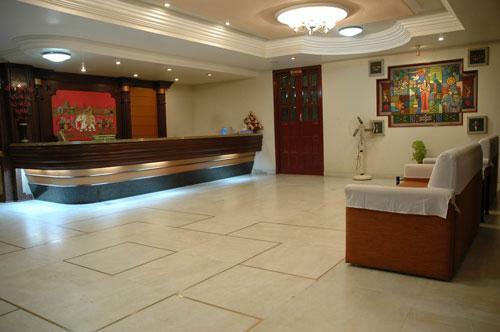 Whether the guests are here for leisure or business purpose, they can enjoy a wonderful stay in the hotel. After a day’s hard work, the comfortable king sized bed or a slit bed in the Deluxe Rooms looks very inviting. Also available is a wooden cupboard where you can neatly hang your clothes. 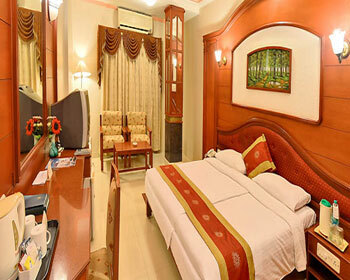 Some of the amenities that are available in these rooms include air-conditioner with remote control, 2 single-seater chairs, a dressing table and a writing desk with chair, color television that displays satellite channels, direct dial telephone with STD and ISD, complimentary Wi-Fi connectivity. The attached bathroom offers 24 hour hot and cold water supply, modern toiletries, telephone line in the bathroom etc. 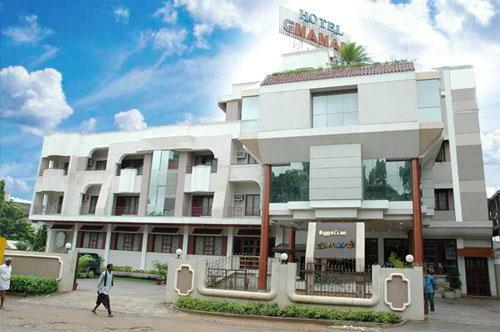 The Mini Suites at Hotel Gnanam offer luxury in small package. These suites are well-decorated and offer a unique stay experience in the city. 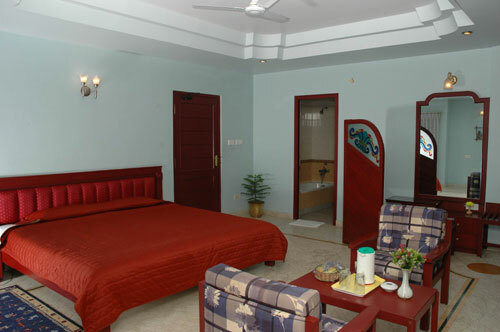 The homely setting of these suites promises a home away from home to the guests. 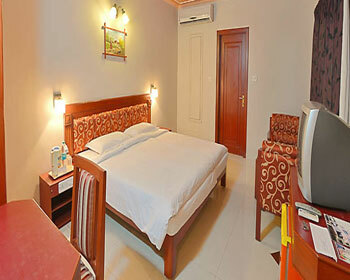 These accommodations offer great comfort and convenience for all those who are travelling with their families. Some of the amenities that you can look forward to when you select to stay in these suites include a king size bed, air-conditioner with remote, wooden cupboard, dressing table, extended writing desk and chair, two single seaters with a small table, direct dial telephone line, television with cable channels, Tea/Coffee maker, electronic safe, daily housekeeping, round the clock room service and in-room dining, refrigerator and electric fan. The en suite bathroom offers round the clock supply of hot and cold water, separate shower and hot tub, premium toiletries and a telephone line too. The Executive Suites at Hotel Gnanam exude perfect balance of color, space and design. They are best suited accommodations for the leisure and business travelers who prefer to enjoy their privacy in the quiet settings. The guests have an access to a king size bed with comfortable mattresses, Dressing table with full mirror, 3 seater sofa set, a Dining table with 4 chairs, refrigerator, Mini Bar, safe deposit locker, Wooden cupboard, color television with satellite channels, direct dial STD and ISD telephone line, uninterrupted Wi-Fi, electric fan and air-conditioner, daily housekeeping, in-room dining and round the clock room service etc. 24 hour hot and cold water is available in the attached well-furnished bathroom with bath tub and shower along with premium branded toiletries. Also available is a telephone line in the bathroom. 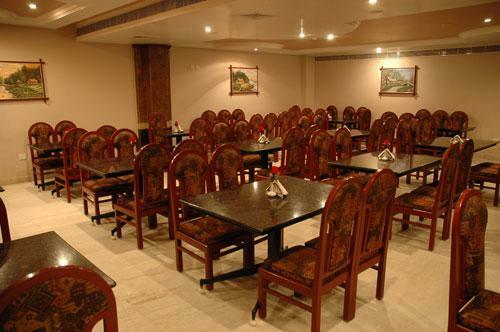 Sahana is a vegetarian multi-cuisine restaurant that has an appealing and elegant ambiance. 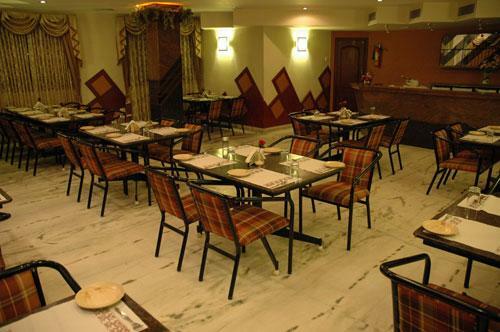 This pure vegetarian restaurant offers quality food ranging from the north-Indian to South Indian cuisines. The guests can enjoy wholesome meals including breakfast, lunch and dinner. The bright colored interiors, beautiful settings, lively aroma, and the incomparable taste offered by this venue grabs the attention of all and even invites guests from different places in the city. The chefs utilize the best of ingredients and the cooking techniques to produce some of the tastiest dishes in the area. The Diana Bar at Hotel Gnanam serves some of the finest drinks that include wines, beers, single malts and other spirits. Designed on a vintage theme, this bar is connected to a non-vegetarian restaurant that serves delicious food. The menus are carefully planned taking into consideration the tastes and likings of various guests. You can easily grab a quick breakfast or socialize with your friends or corporate people after dinner over a glass of wine. The menu includes continental, Chinese and oriental cuisines. Complement your meals with the international wines and have the time of your life at this bar.